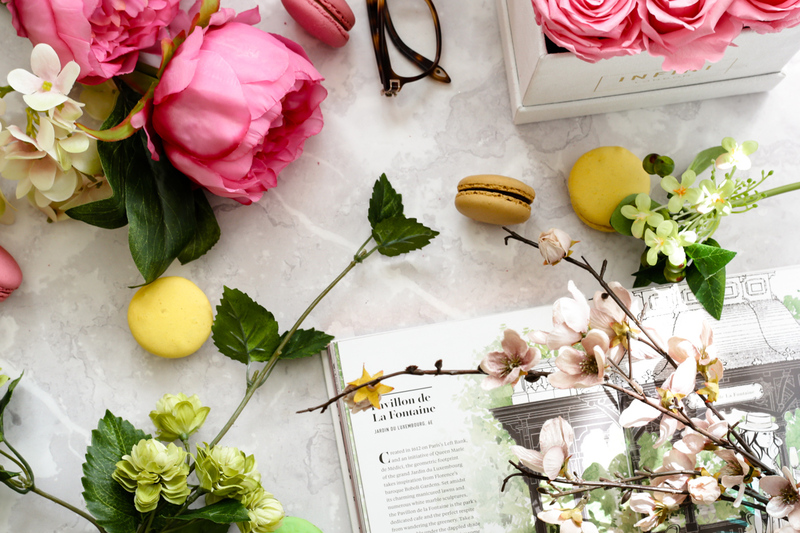 I Can’t Get Enough of These Photo Styling Props…. I went through a phase a while back where every shopping trip resulted in me coming back with a photo prop or two and anything and everything became a contender. Before I knew it, I had accumulated a cupboard full of trinkets, books, ribbon, confetti, foliage and just general “stuff”. Having an array of props to work with is always great as it helps me to come up with different themes and styles but like anything, I also tend to gravitate towards some props more than others. Partly because they are versatile and easy to work with, and partly because I just love them and they fit my style. So, whilst these are by no means the only props I love working with, here are four particular loves that recently, I can’t get enough of. I always find flowers instantly bring my photos to life. I’d love to use real flowers, but that’s expensive business and they only last so long. Hence I find faux flowers are the way to go; like most things, they’ve come a long way and can be incredibly real looking, the options are endless and you can keep re-using them. I don’t mind if they don’t always look real per se, so long as they do the job and most importantly add all kinds of prettiness to my photography. Provided you store them well, they should last forever and if you are on the lookout for more purse-friendly options, then I would check out TK Maxx, Dunelm and Home Sense. 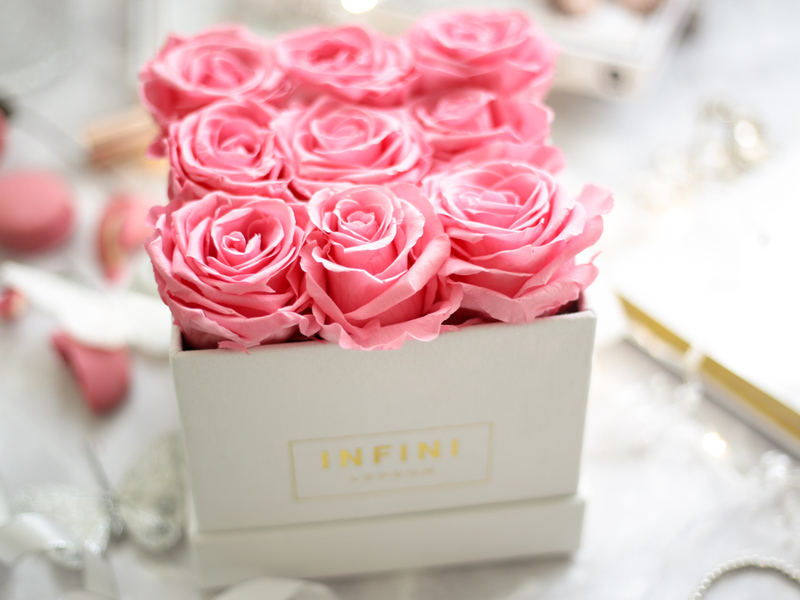 Infini London provide real handpicked roses encompassed in luxurious boxes that last for up to a year. Asked if I would like to choose a box from their Infini Suede collection, I was incredibly excited and given my ultra feminine and oh so girly style, I knew the pink roses in their white classic cube was the way to go. I don’t think I could be any happier. Consisting of 9 hand-picked roses, which retail at £99, I now have the perfect floral prop for my photos with of course endless styling opportunities. There are so many beautiful colours to choose from and if you are interested in anything from Infini London, you can visit their website here. 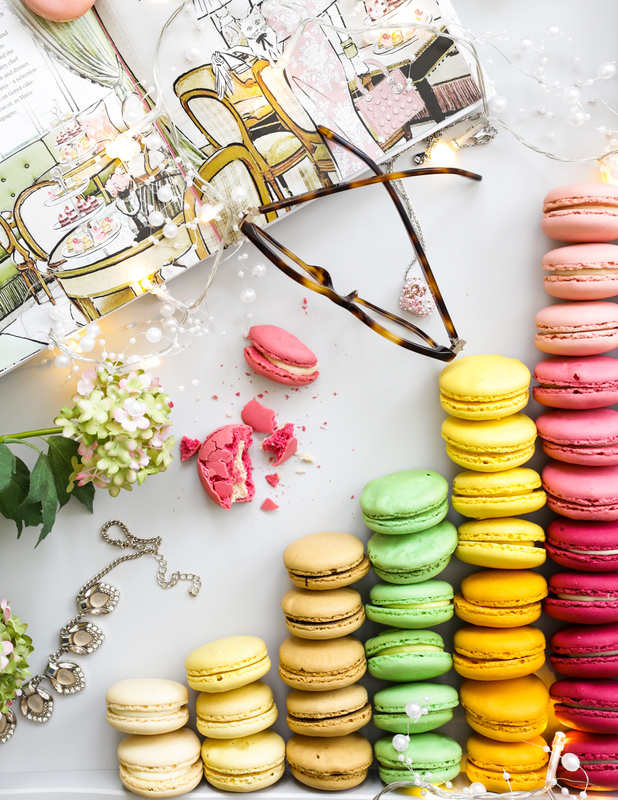 It’s not the most obvious of props to love but there’s something about anything edible in photos that draws my immediate attention – maybe it’s that sweet tooth I have and so much so that I even have a Pinterest board dedicated to macarons and all things sweet! Macarons add that touch fun, elegance and cuteness all rolled into one. I also adore the various hues available with the pastel variety being my personal favourite. You would think I would eat most afterwards but the truth is I don’t – a terrible waste I know. Of course for that very reason, finding macarons on the cheap is difficult until I came across some at TK Maxx and all of the macarons I have styled in my photos are from there. Most of them come in different flavours / colours available and they have a long expiry date on them too. However, if you are looking to actually eat macarons, then Ladurée is the best! 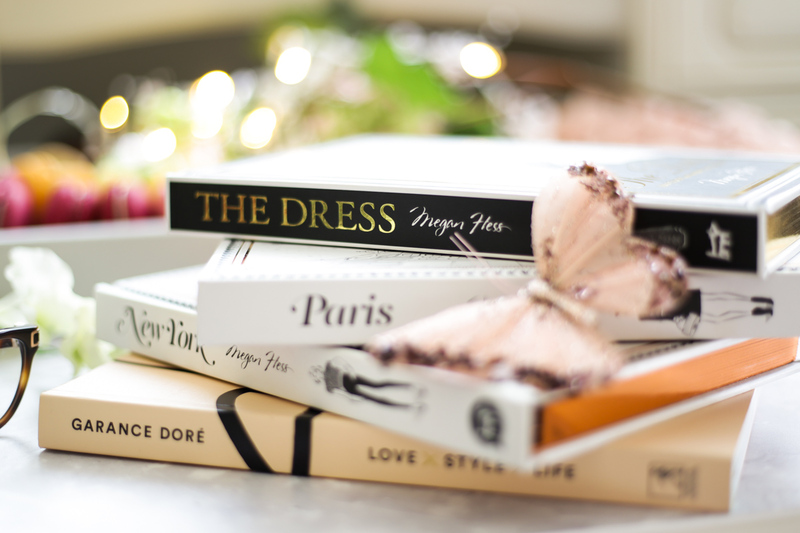 Books are a bloggers best friend when it comes to photo styling. They give photos that lifestyle feel and there’s no denying that coffee table books are so very Instagram worthy. They’re pretty inexpensive too given that you can use them time and again. Even better are the ones with whimsical illustrations à la Megan Hess. 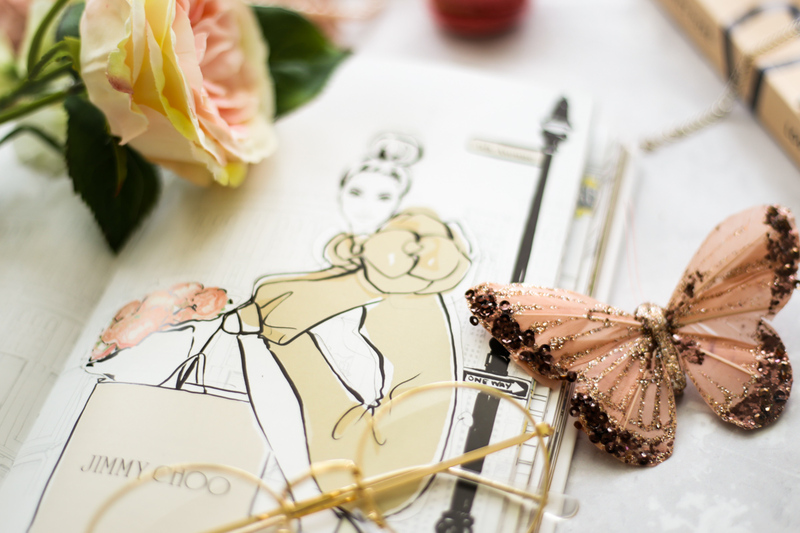 You’d have seen her books in many a Instagram and blog image, but for good reason since who doesn’t want elegant and so very feminine fashion and beauty illustrations of the very best of what New York and Paris has to offer? With pages of beautiful illustrations, the photo styling options are immense and hence why I have three of her books in my collection. 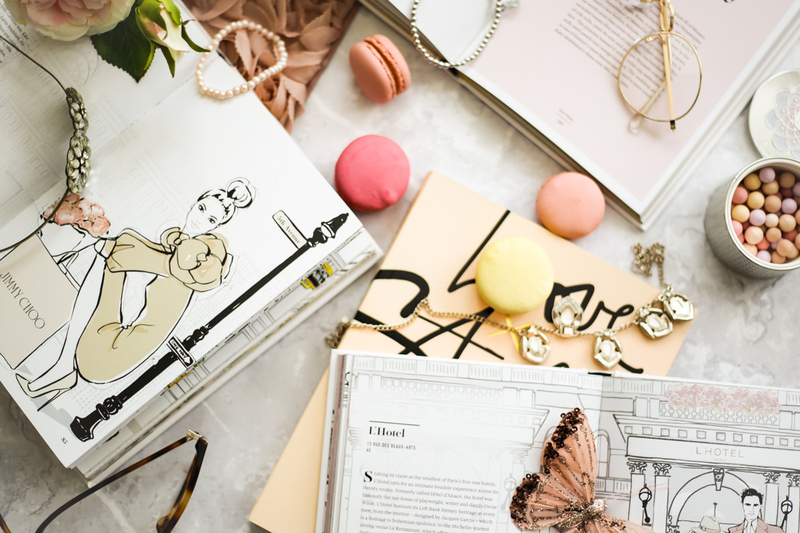 If it’s not Megan Hess, I also love Garance Doré Love Style Life and to be honest any books will do, even notebooks. Books are great for filling corners and even better when you layer props on top. I also use the illustrations in the books to determine my theme, the props and colours I want to use in my photos. Lastly, if you’ve been following me for a while then you’ll know that I have a thing for butterflies. 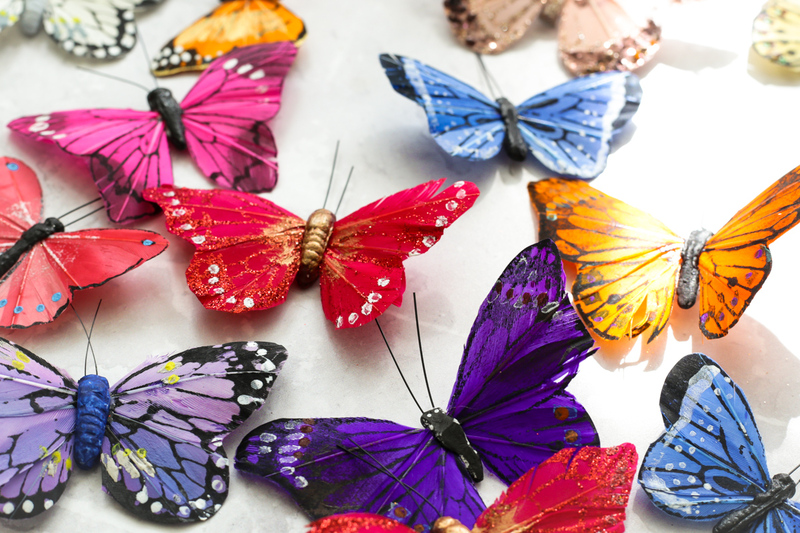 Adorning my photos with handmade butterflies adds a bit of personality and what I like to think as beauty to my photos. Great as prop fillers, they always bring a smile to my face and all the better when they come with a bit of sparkle. Places like Hobbycraft and Paperchase often stock some gorgeous paper butterflies and my ever-increasing collection of butterflies is from these two places. This post includes a PR/Gifted Item from Infini London. Opinions are always my own.